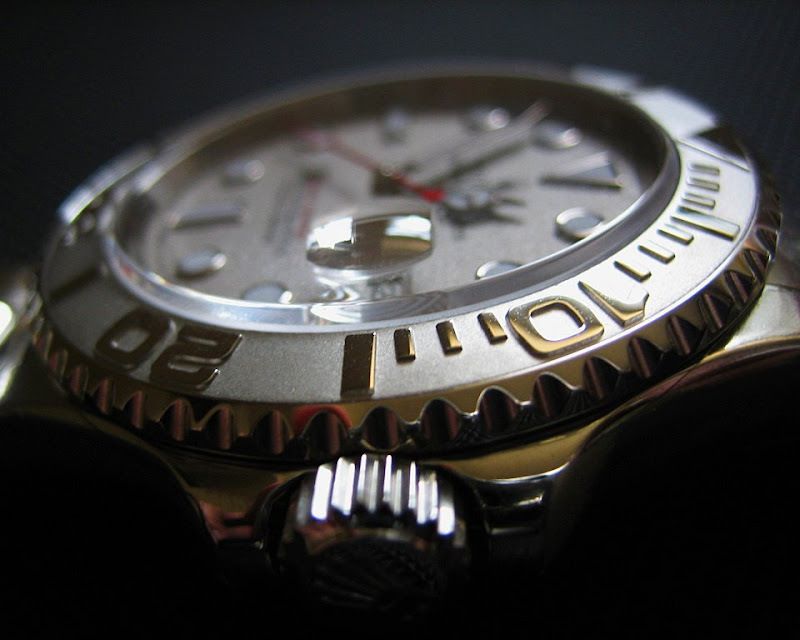 The glorious Stainless and Platinum Rolex Yachtmaster with the etched Platinum Bezel and matching Platinum dial. In my opinion the Rolex Yachtmaster has the best lines of any Rolex. Essentially the Yachtmaster is a curvy streamlined Submariner.